About a month ago, Wiki Wednesdays ran a feature titled “Literary Citizenship in Wikipedia,” which detailed a collaborative project happening at Ohio University that engaged students with Wikipedia editing in a Creative Nonfiction class. The motivating idea behind this project was to create articles for under/non-represented literary authors in Wikipedia. When I wrote that post, the project was just getting underway. 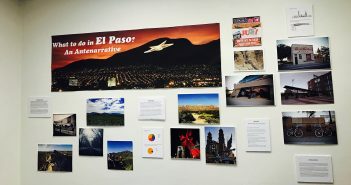 Now that students have finished the project, we’re checking in to look back at some of work they did, and to celebrate the type of “citizenship pedagogy” this project represents. Sarah Einstein, the instructor and designer of the project, has had nothing but encouraging, kind words to say about the whole process. I’m slightly suspicious of this, of course, because she is an especially encouraging and kind person. But she’s also reported that the students felt the project was successful too, that they enjoyed it, and really learned from it. This is a report I can believe in, mostly because I know Sarah wouldn’t misrepresent her students. From my own perspective, I was delighted to learn how successfully (and, yes, easily) a Wikipedia project could be integrated into a Creative Writing workshop. As a campus ambassador for the Wikipedia Education program, I led two 80 minute workshop sessions to help students create and edit articles. I also created a course page to keep track of their work, explain the project and provide editing tutorials. Sarah introduced the project and reviewed some basic Wikipedia policy before my visit. Students in this class did not spend weeks and weeks studying these policies and observing the community. Yet they were still able to effectively execute an editorial project where they produced a good deal of content: all well-sourced and in line with specific encyclopedic conventions (neutrality, verifiability, etc.). Students in this workshop created new articles (and in one case made substantial edits to an existing article) for a total of nine nonfiction writers- with each student working on one author. To help demo the process, I also created an article. To get an idea of how much these students contributed, check out this (29 page) pdf-book of their work, courtesy of Wikipedia’s book creator tool. There’s been a decent amount of research in composition studies on Wikipedia and wikis as tools for learning, and it’s easy to forget how useful they can be for other fields in English Studies. Collaborating with a Nonfiction workshop taught me a lot about how Wikipedia assignments can engage the creative writing student. I also realized how this kind of project can benefit multiple stakeholders. Students learn about information politics, wiki-editing/digital writing, and the authors they’re writing about. They practice researching and writing for a specific genre (the Wikipedia article) in a highly contextual and public community. The instructor gets more engaged students, who are excited about this kind of public intellectual work. The authors, the subjects of the student-created articles, benefit from an increase in their internet presence. More people can get to know them and their work because of these articles. 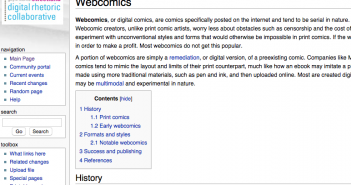 Finally, Wikipedia as a reference resource is also improved. We’ve made a small dent in the under-representation of contemporary literary culture. Other editors can continue to improve the articles the students created, and the encyclopedia is that much more comprehensive. Ultimately, engaging with the idea of “literary citizenship” – a common trope in creative writing communities – has also helped me to more fully realize what it means to engage in “citizenship pedagogy.” For me, citizenship pedagogy is a teaching philosophy that works to break down some of the boundaries between academic institutions and public cultures, that encourages students to engage with the outside world, to become producers of content rather than just consumers, and to critically reflect on the ways that new technologies and new media are not neutral tools, but always ideological, always political. The uneven representation of a number of subjects in Wikipedia, an effect of its homogenous editor base, makes the encyclopedia an extremely productive place to engage in citizenship pedagogy. Wikipedia needs our edits. Start learning about the Wikipedia Education Program! 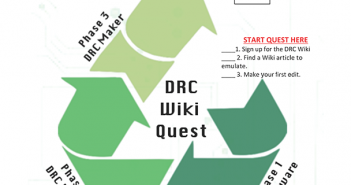 Check out these other case studies of how you can use Wikipedia in your classroom. This is such a wonderful idea. I’ve added this link to the literary citizenship site and plan to use this the next time I teach my course. Thank you!